Home News Acknowledge Somaliland to Cure Festering Wound on Africa. Any African country without recognised independence has a wound on the body of Africa and whole world. In this particular instance, Somaliland is a country seeking recognition of her independence, not just from Somalia but Kenya, Africa and the world, whose integral part she is. 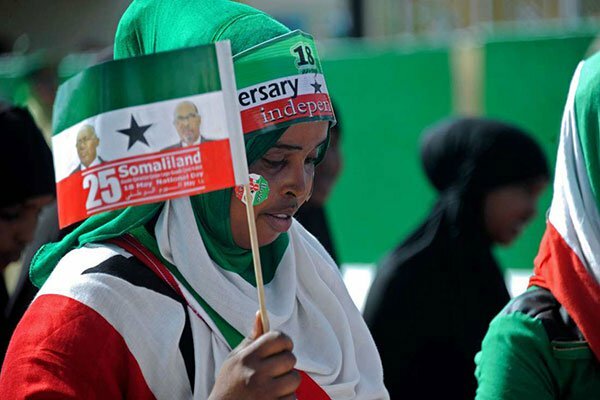 Tragically, independence of Somaliland continues to be unrecognised, despite her possession of many conditions that qualify a country for independence – internal and external peace, stability and economic growth, which many independent countries don’t have. While Africa and her counties suffer wounds from war, poverty, corruption and negative ethnicity, no country would cure them without independence. Indeed, independence is the key to heaven on earth for any country that is claimed by another. Somaliland enjoys peace and development but is denied continental and international recognition, freedom of international business that ultimately subjects her to economic and diplomatic sanctions, which result in underdevelopment, abject poverty and endless problems. Precisely because denial of independence to any African country is a setback to the whole of Africa, one can’t fathom why the African Union is yet to recognise Somaliland as independent. I dare believe that had Somaliland been a European state, she would long have been helped to become independent. Why then has Africa not recognised independence of Somaliland? Is it because it has not applied to the AU? Has current AU chairman President Paul Kagame visited Somaliland to judge whether her de facto independence should be augmented with de jure independence? Why is he looking the other way when an African country is suffering slow death from denial of lack of diplomatic identity and right of survival? Can the world recognise Somaliland if African countries do not lead the way? Has the West not recognized Somaliland because African countries have not? African states should first recognise Somaliland for European countries to follow suit. And no one should listen to the talk of interfering with Somalia’s internal affairs. When former Soviet Union disintegrated, all its states became independent such as Armenia, Latvia, Moldavia, Lithuania, Georgia, Azerbaijan, and Tajikistan. Others had absolutely no problem assuming their new independence including the international community. Equally when countries from the former Yugoslavia such as Serbia, Croatia, Montenegro, Kosovo and others split from former, none had problems being recognised as independent by international community or African countries. Why then do we have issues with Somaliland? Are some countries more equal than others? The international community is refusing to acknowledge Somaliland in order to force her into a forced second marriage with Somalia without solving problems that killed their first marriage. Worse, how can it be forcing a peaceful land into a ball fire to be destroyed as Somalia is self-destructing? Forcing Somaliland, a country in total peace, into Somalia without first ending the war in that land, is like forcing refugees escaping from the war in Persia back into the burning country without first ending the war. Does it make sense? Neither international community nor African countries should play with the fate of Somaliland, the way Western and African countries played with the fate of Libya. Had Africa taken a strong stand against destruction of Libya by the US and the UK, that country would still be one today. The way Western and African countries played with the fate of Libya is the way they are playing with the fate of Somaliland by denying her recognition. Suppose she radicalised and became allies with al Shabaab? When countries demand recognition of their independence, it is together with the integrity of their boundaries, not with territorial claims upon their neighbours. Fortunately, Somaliland has no ambition to annex Somalia or any other country. While independence of Somalia is recognised, despite her territorial claims upon Somaliland, Kenya, Ethiopia and Djibouti — as symbolised by the five stars on her flag — Somaliland makes no territorial claims on any country. Why then deny her independence? Most of the 10,000 Kenyans working and residing in Somaliland would be happy if Kenya could recognise Somaliland and open an embassy in Hargeisa to take care of their interests. Koigi wa Wamwere is a Kenyan politician, human rights activist, journalist and writer.